We all know what happens when we eat a big turkey dinner for Thanksgiving. The post dinner sleep kicks in, not entirely because of a massive food coma, but because of a lovely little amino acid called tryptophan. Scientists have actually found that tryptophan has the same calming effect in our dogs and cats as it does in humans. Luckily for us, we can actually utilize this in an all-natural supplement called ProQuiet. 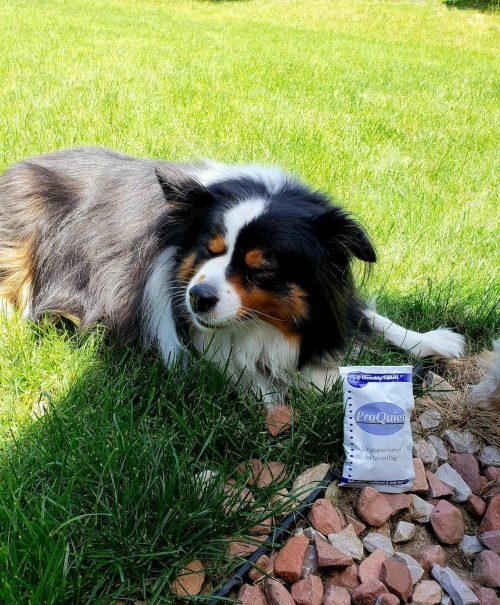 Pro Quiet is a convenient supplement that utilizes tryptophan and taurine to help calm our dogs and cats in any unfamiliar or stressful situation. These spring and summer months can bring quite a bit of those situations from spring time storms to fourth of July fireworks and even our summer travels. ProQuiet is a nice over the counter alternative to heavy sedative medications. Come in to our clinic to give ProQuiet a try. FCVC is running a special on packages of 7 chewable tablets for $2.50 until July 15th or while supplies last. Stock is limited, so make sure you head in soon to grab some for your furry friends!